It's one of those slap yourself in the face moments that wearable tech occasionally provides. Smart maternity clothes. Of course. It makes all kinds of sense - women buy items of specific clothing during pregnancy, they need extra health tracking during this time and they're willing to spend more money to look and feel both stylish and comfortable. Cornell fashion design student Blake Uretsky is on to a winner with her health tracking B Maternity line. 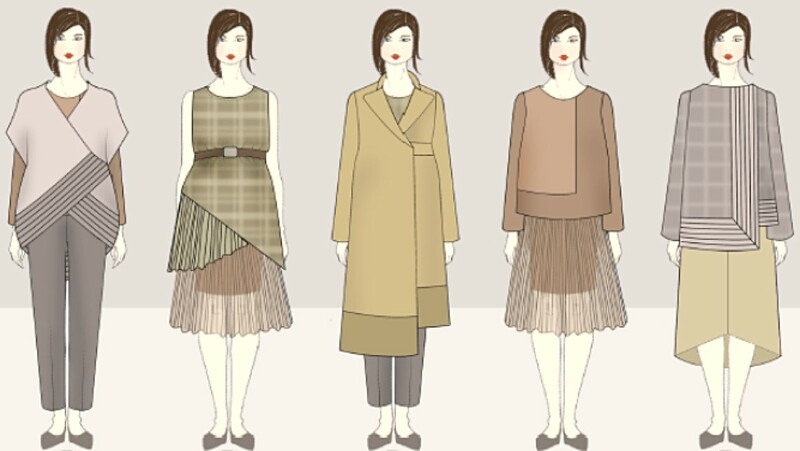 The Department of Fiber Science and Apparel Design student has just won a $30,000 scholarship from the YMA Fashion Scholarship Fund to get B Maternity off the ground. The collection of dresses, coats, trousers, skirts, blouses and jumpers all wirelessly collect data on the wearer's vital signs and send this to a companion smartphone app via a Bluetooth device tucked behind a belt buckle. The smart clothing can track heart rate, temperature, breathing, blood pressure and in a nod to a future where we're all tracking our own health, the app also includes a 'send to doctor' icon. Like in smart sports clothing, conductive silver fiber is woven into the fabrics to track the health metrics. Uretsky sewed prototype garments of her mix and match line as part of her application though it's not clear if the clothes modelled are working prototypes or not. The smart maternity clothes are also designed to fit women at all stages of their pregnancy - "grow with you" as Uretsky puts it - to avoid the need to buy three or more sets of clothing. Uretsky told Cornell's in-house publication that the scholarship money will go towards "the development of my own fashion label in the near future". "Wearable technology products must both be aesthetically pleasing and have meaning and value to users, and pregnancy is a time where critical monitoring is necessary," she added. Let's hope she can find a big partner or get her B Maternity line into shops quick fast.